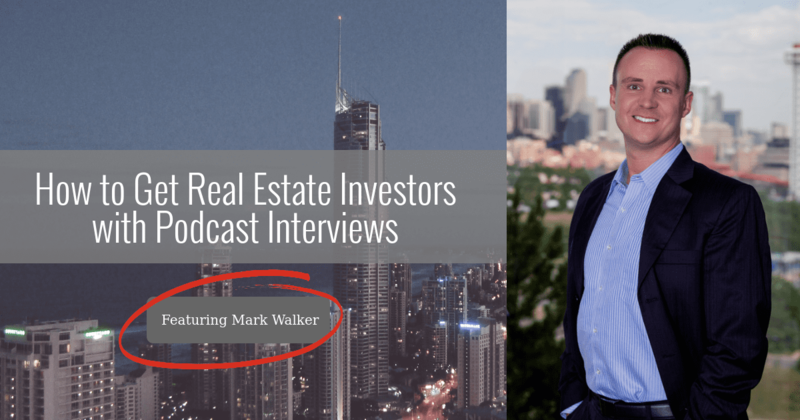 Successful real estate notable, Mark Walker, joins Jessica to explain his marketing strategy and describe how he turns podcast interviews into leads, and ultimately new business. Amanda Doughty, a guest booker for Interview Connections, kicks things off by offering a free copy of Jessica’s new book, Interview Connections: How to Rock the Podcast from Both Sides of the Mic. This book is a must-have for podcast hosts and guests who want to monetize their ventures. After Mark’s first podcast guest appearance, he noticed an increase in traffic to his website. This encouraged him to continue doing podcast interviews. Mark recalls how his worst interview became one of his top lead producers. The podcast didn’t have the biggest listener base but the subject matter was a perfect match for him to reach his target audience. 1. Have a free offer for the listeners. 2. Send listeners to a landing page. 3. Set up an autoresponder email sequence to nurture new leads into business. During a guest interview, Mark sends listeners to a separate landing page on his site Luxmana. He uses website analytics to gain insights on visitors. His site is easily managed, because it is hosted at Squarespace, and his Zoho CRM software automatically sends out the free gift he promised during the podcast interview. Podcast interviews can be list building tools! Mark reaches his business goals by way of podcast interviews. He has built his personal brand, driven traffic to his site, and established himself as an expert when it comes to real estate investing. And, Jessica points out it may be time for Mark to shift his podcast strategy to meet the needs of his ever-evolving business, after he shares his biggest business challenge. ● Think in terms of systems and automation while feeding your funnel. If you have dreams of escaping the rat race, quitting your job, and doing your own thing, you need to get a copy of Mark’s inspirational reminder 10 Things I Will Do Today to Escape the Rat Race.